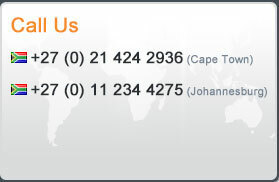 Incompass Financial Solutions is a registered South African financial services provider. Since its inception in 2003, clients have benefited from a personal level of service not normally associated within its industry sector. Our reputation is proven by our links to many leading investment houses, estate agencies, accountants and attorneys how partner with us and well as our affiliate network. We have the ability to offer well researched and value added services due to our independent status. We are not owned or tied to any one particular supplier, so we can source solutions that are best suited to each of our clients individual needs. Private Banking for cash investments. Prospective immigrants to and from South Africa. Individuals and Businesses with the need to transfer money in and out of South Africa. Advice and processes relating to the South African Foreign Exchange Regulations. Independent IFA’s and investment houses. Our focus has always been on the international flow of money and the unique issues this brings. Our dedication to giving both imaginative and far reaching money exchange services, has seen us become one of South Africa’s premier money transfer companies and the only independent one offering the reassurance of being ISO 9001 and 27001 certified. In the current financial services market dramatic continuous change is the norm. Providing value added services is no longer about applying traditional solutions to new challenges. Our foreign exchange service recognises the need to be innovative, service driven and providing much more than a simple transfer facility. We are pleased to offer professional, efficient and cost-effective currency exchange or forex transfer service to individuals and corporations needing to buy or sell currency on an international level. With years of experience and a dedicated team, let us take the worry out of your currency transaction. Foreign exchange transfers have never been this easy.